After much crying, whining, gnashing of teeth, a few injuries, but no lost parts, we’ve reached the finish line with Step 5 of the Ruger 10/22 Soup it up for Soldiers Custom Ruger 10/22 build. The Nikon ProStaff is a 4x fixed power scope – perfect for plinking and small game hunting. It’s nitrogen filled so it won’t fog in humid or rainy conditions. We know this for a fact as the rifle was zeroed in South Cackalackee’s 90/90/90 weather conditions. To the uninitiated, that’s 90 degrees, 90 percent humidity, and 90 times as hot as should be legal. We really like the windage and elevation adjustment design on this scope. Under the protective turret caps are hand operated knobs that provide 1/4” adjustment per click at 50 yards. Nice and simple and no tools are required to zero the scope. We zeroed the scope at 50 yards as this scope is designed to be parallax free at that distance. At the range we found the scope to be bright and clear. The reticle is the Nikoplex Duplex design. This is a fancy description that means the crosshairs are fine in the center with heavy posts closer to the circumference. This design naturally directs your eye to the center of the scope. The Burris Signature ZEE rings are medium height and matte black finished. These rings include self centering synthetic inserts. This accomplishes two things. 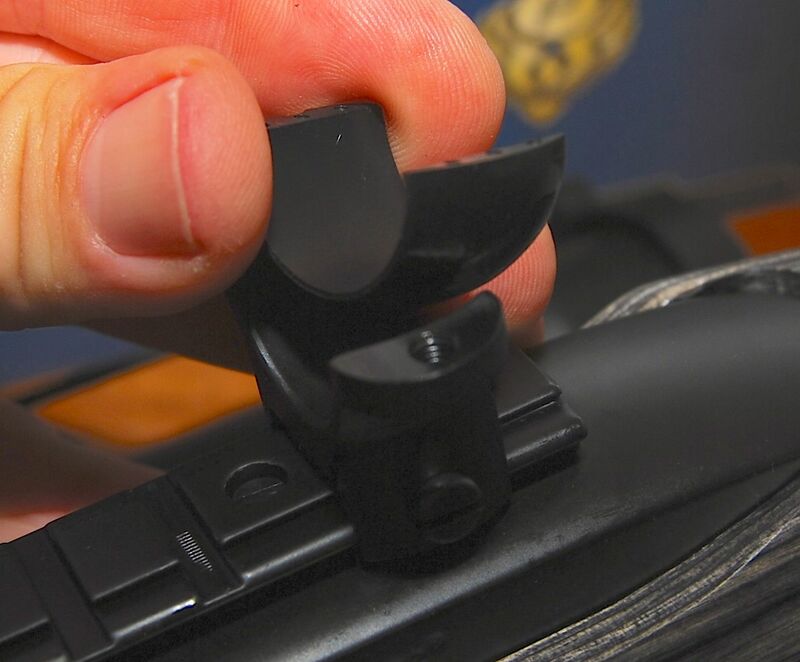 First, as you mount and tighten the scope, the inserts automatically adjust to align the scope with the rings. The scope bases are concave on the interior which allows the inserts to move freely as the scope is placed in the rings. Second, the inserts help to protect the scope from dings and bending. The Nikon ProStaff Rimfire scope comes with elastic mounted lens covers, instruction book, and Torx wrench. Remove the top half of the rings completely using the included Torx wrench. The Burris Signature ZEE scope rings will slide over the end of the rail. Just remove the bolt and slide each bottom ring over the rail. Now re-insert the bolt so that it is set in one of the rail slots. Tighten it up. Drop half of one of the included synthetic inserts into the base of each ring. Note that the inserts are designed to fit together in a specific way. You’ll see a small cutout notch on one side of the insert. Line that up for top and bottom halves of the insert. Rest the scope in place and install the top inserts, followed by the top half of the rings. Do not tighten anything at this point. 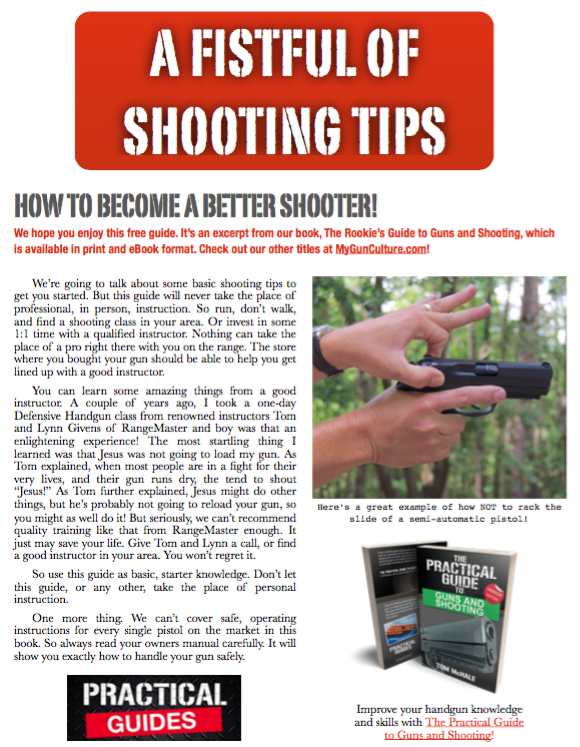 Now pick up the (unloaded) rifle and mount it to your shoulder in a normal shooting position. Slide the scope back and forth until you have clear visibility through the scope with no shadowing around the edges. When it’s perfectly positioned, tighten the top halves of the rings. Not too much! 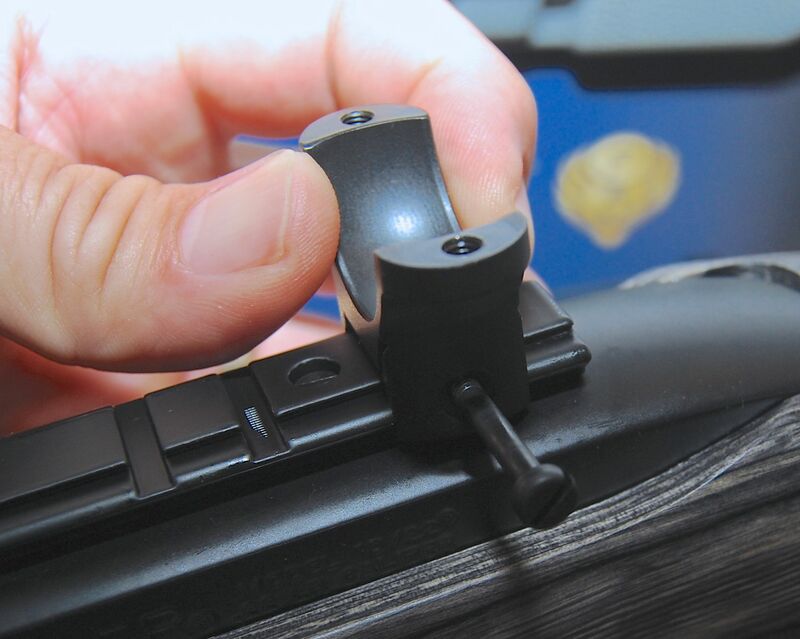 Time saving tip: be sure that the crosshairs are perfectly aligned vertically before tightening. Now it’s off to the range to zero this bad boy. Using your preferred .22 ammo, set up on some sandbags and remove the windage and elevation adjustment covers. You can easily adjust both using the exposed knobs. We recommend setting the zero at a distance of 50 yards as that distance is parallax free with this particular scope. Once you’re happy with the zero, raise each knob vertically. This will disengage the cap from the adjustments so you can rotate the knob to read zero. Push the cap back down and you’re done. You’ll see a zero line for each adjustment just underneath the knob at the back. 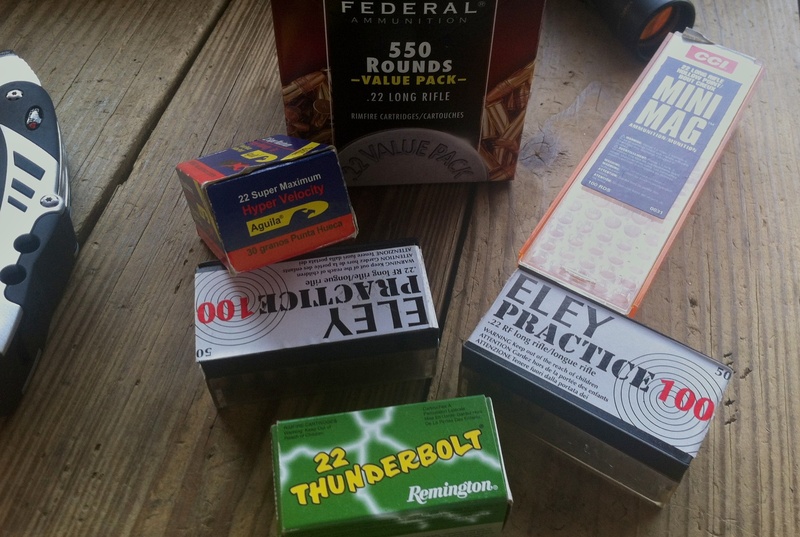 We tried a variety of .22 ammo in the rifle and had the best overall success with CCI Mini Mag. .22 ammo is notoriously finicky with semi-autos, so try a few types to see what your gun likes. We’ve not had good success with the Winchester white box bulk packs in a number of semi-auto rifles and pistols. The other brands we tried all worked completely reliably in this gun. Being total idiots, we dashed off to the range to zero this scope without our sandbags. Using a shooting bag as an impromptu rest, we were still able to get some fantastic groups with this rifle. The photo here shows 4 shots in one large hole at 50 yards. The 5th was a result of a poor rest combined with aging eyes and a spastic trigger finger. 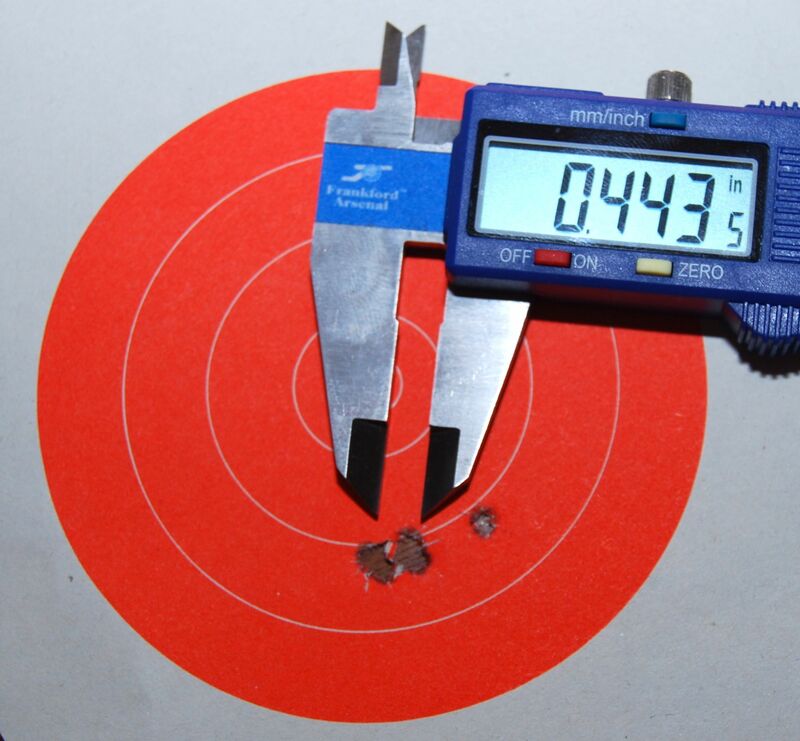 This group was shot with Eley Practice ammo. The CCI Mini Mag load performed just as well. Measured center to center, the four shot group measured .443 inches. Nice! Now that we’re finished, we’re packing up this rifle and sending it to Ruger to be photographed and placed for auction on Ruger’s GunBroker.com page. Of course, all original parts from the Ruger 10/22 Carbine will be included in the auction. 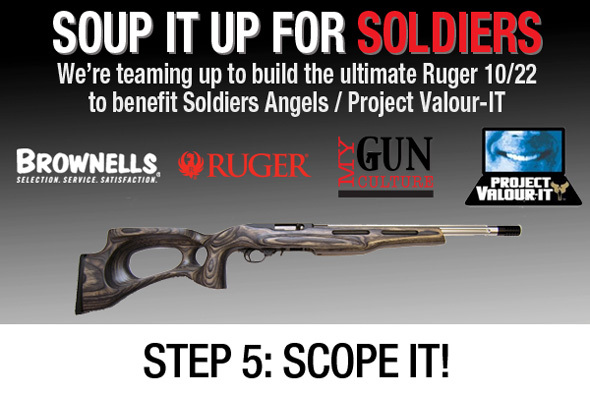 Remember, all proceeds from the auction go directly to Project Valour-IT of Soldiers Angels! So bid generously! We’ll post a notification and link to the auction as soon as it goes live. You can review the complete Soup it up for Soldiers series with detailed commentary on each step here. Thank you Matt! It’s been fixed now. Appreciate the heads up on our typo!